In order for commercial vehicles to remain productive on a daily basis, DTE can test your vehicle’s engine performance using a mobile dyno at your premises. Why should I measure performance? 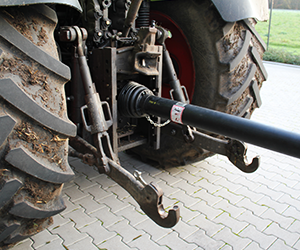 With the mobile dynamometer, DTE Systems can measure the standard performance of your machine and are then able to make accurate adjustments based on these results. 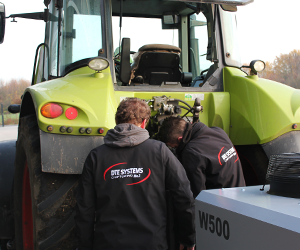 The dyno also allows DTE to identify the maximum safe power increase along with an optimum torque output best suited to your tractor and tailored according to the operator’s needs. 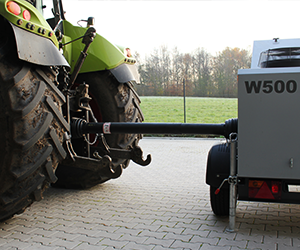 DTE’s performance improvements for agricultural vehicles are individually tailored to suite their environmental conditions and work environments in which they operate. How much power does your machine have? We can bring our mobile dyno to your site, test your vehicles standard performance and do a vehicle specific performance optimisation for you! More performance, greater productivity - It has never been so easy. Put us to the test. No obligations. Do the DTE performance check. Without commitment. Take advantage of a DTE performance chip for your tractor. Book an appointment with us on +49 2361 48 39 06 for European customers or on +27 21 556 6463 for South Africa. You can also send us an email to info@dte-systems.de. We look forward to being of service to you!